When to turn back and when to push on? As I started out on my trip to go sailing in the British Virgin Islands, I had no idea the amount of adversity I would be facing. I spent two days and traveled on 8 different transportation services before I finally arrived at my hotel. At one point I thought about turning back and starting over another day, but I didn�t. Take a look at the list of trials I faced and then see what I learned. On Thursday morning my alarm did not go off at 2:00am but thankfully I work up at 2:20 on my own. As I stepped outside to walk the dog I locked myself out of the house. I walked to the back to get in through the garage only to find that the battery in the keypad was out. I found a window unlocked and climbed in. I was about to leave and I remembered I did not have my passport. The supper shuttle arrived and I was off to DFW Airport. Arriving at check in I noticed that someone had left their boarding pass at the auto check in kiosk. I gave it to the desk attendant to throw away and instead they checked my bag to that person destination, Jacksonville Florida. I could not check in at the kiosk so I walked over to the ticket agent for help. She noticed the mixup on the bag check and was able to catch it before my bag was loaded on the wrong plane. The reason I could not check in at the Kiosk is I had yet to pay the annual fee to fly stand by. I called my wife at home to wake up, log on and pay the annual fee. Once done, with my bag in hand I started the check in process again. I get on the plan and realized I had left my boat shoes at home. 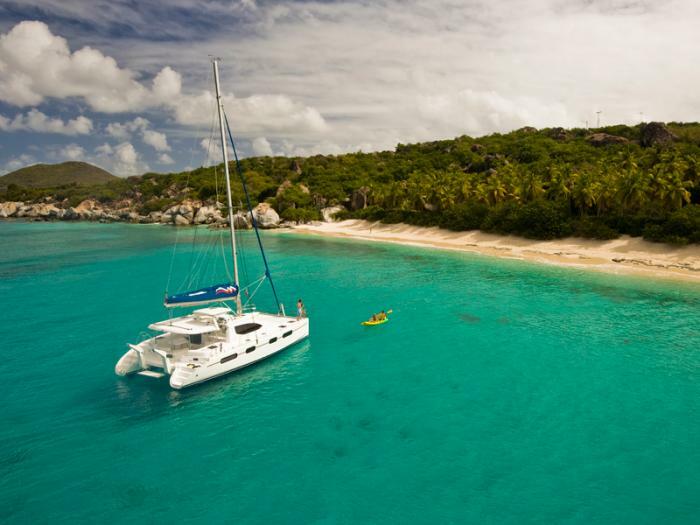 Oh well, there is nothing I need in the BVI that I can�t buy when I get there. The flight to Atlanta was uneventful. From Atlanta I flew to beautiful San Juan Porto Rico. We landed, I retrieved my bag and walk out of the airport to realize I am in the wrong place, San Juan Porto Rico instead of St Thomas USVI. It�s my fault for burring the candle at both ends before I left. I scheduled my flight to the wrong place by accident. So I take a cab to the local, regional air port and catch a puddle jumper to St Croix then to St Thomas. I was in the St Croix air port no longer then 15 minutes, but log enough to pull out my Ray-ban sunglass and watch the right lens to fall out and break. I hope that is covered under the warranty. On I fly to St Thomas, get my bags, walk out to the Taxi line and ask for a ride to the Ferry Terminal. 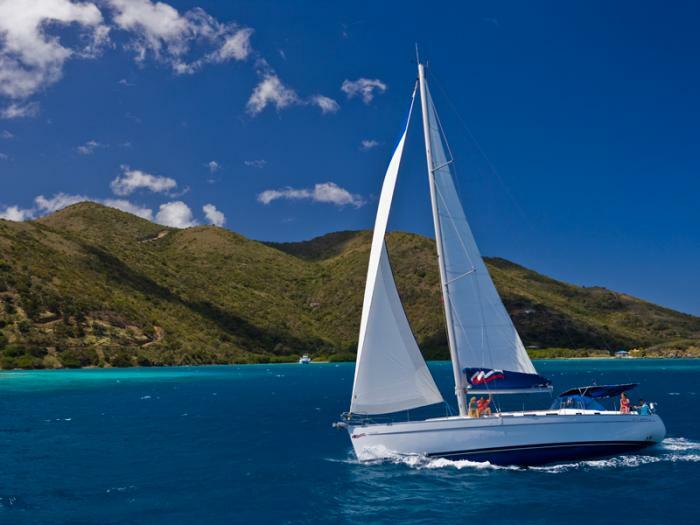 It�s to late, the last ferry to Tortola has left already. So instead I go to a hotel across the street from the ferry terminal and spend the night. Friday at 12:00 noon, I arrive at the Ferry Terminal for the 12:45 Fast Ferry to Road Town. Just before we depart they tell me they can not take me to Roan Town, only as far as the west end where I can take a cab the rest of the way, at my own expense. Welcome to the Islands where the people are nice but you pay for it. I share a ride into Road Town and we are taken to the wrong place. After renegotiating the rate, we finally arrive at the Hotel. I chose to press on, not because I�m a tough minded, hard charging kind of guy, but because of an idea, a vision, a picture in my mind. That picture was of me setting on a beach on a Caribbean Island with a beverage in my hand watching the sun set. This process of pursuing a vision in the face of adversity is not unique to travel. Every day we make choices based on a picture in our mind. The more vivid the details, the stronger the pull. But the ability to move ahead in the face of adversity is also like a well trained athlete with muscle memory. As we deal with adversity and push through, we build our muscle memory that says �yes I can.� Over time it gets easier to push through difficult situations. Each choice we make in life build on the others. We either build positive muscle memory or negative muscle memory. Have you ever listen to someone describe tragedy in their life and then say �these kind of things always happen to me�? They have built their own reality based on the negative muscle memory. Or as Dr. Phil is found of saying �How is that working for you�. I�m not saying we invite adversity to ourselves, but I am saying we have 100% control in how we respond. The only reason I was able to smile and be in good spirits throughout the two days of travel was I made a conscious choice to have a good time, trust it would all work out and enjoy the moment. I look forward to reading your stories and comments.